Cavendish banqueting was established in 2005 and is now widely recognised as one of the most service orientated and professional banqueting venues in London. 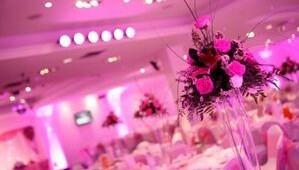 It is one of the largest Asian wedding venues London and is known to be one of the most spacious Asian wedding venues. We have hosted over 3000 functions over the years and have looked after more than 100,000 guests. We pride ourselves on our impeccable customer service record and invite all prospective clients to view our client testimonials pages and videos. Our beautiful venue boasts a fantastic main hall and a separate blue bar that is suitable for smaller functions and receptions and is a well-known Asian wedding venue in London. The Grand Hall at Cavendish Banqueting boasts an impressive area of over 8,000 square feet and can comfortably accommodate in excess of 400 of your guests making it one of the large Asian wedding venues in London. The versatile, air conditioned Grand Hall is fully equipped with state of the art facilities and stunning audiovisual effects to transform your function into an unforgettable event. Decorated in neutral colours, the Grand Hall is completely adaptable to your preference with the use of lighting and fabrics. The Grand Hall houses an adjustable dance floor and stage, giving you more choice, total flexibility and a completely unique, tailor-made experience. Our dedicated bridal room allows the bride and her party to relax, and comfortably prepare for the main reception. We work with clients from all cultures and are experts in hosting all manner of events including African functions as we are one of the best loved Nigerian wedding venues. Our in house catering team can create any style of menu for your big event including a Guajarati wedding menu, Muslim wedding menu, Punjabi menu or any Asian Fusion. We also have fantastic relationships with a number of Kosher caterers who regularly use our facilities for Jewish Weddings & Bar Mitzvahs. As one of the popular Asian wedding venues in London, we are well versed in all the traditional ceremonies and can support our clients throughout the entire day. There are plenty of places for you and your guests to park their cars: Over 500 spaces within a 5 minute walk. Car parking spaces are available on the forecourt of the building. These spaces can be reserved for the host family or particular guests. 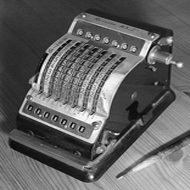 We are very proud of our excellent reputation in the market and we love what we do. 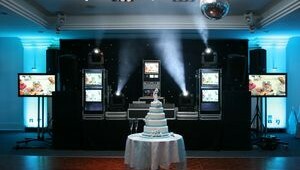 Please give us a call or pop into the venue to see how we can help make your big event go off with a bang. Certain occasions in life are meant to be remembered until life. Marriage is one such great moment in each and everyone’s life that is to be made memorable. Cavendish Banqueting Hall is a dream place for the ones who are ready to tie knots and take wedding vows. We understand the need for Asian wedding and their ceremonies. We have according set up this huge place that will add wonders to the grand occasion. We know that this is the best place for an Asian wedding venue London, which can accommodate that huge and enthusiastic family and friends. Cavendish Banqueting Hall is a place that is grand and opulent. The artistic walls and the elegant colours are totally overwhelming. 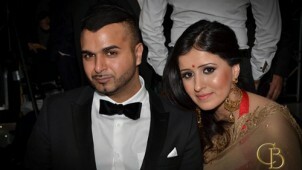 They seem to be perfect for an Asian Wedding venue London. The venue is bright and adds colour to your dream ceremony. It is a huge spectacular space especially suitable for Asian wedding crowd. The ambience does not only support traditional wedding but it has a supreme touch that enhances modern wedding ceremonies too. It can support different types of catering service that may be best suitable for Asians and others. Most of the Asian Wedding Venues London may seem to be expensive but Cavendish Banqueting Hall is one such place that is gentle on cost. It is one of the privileges to host a wedding in the fresh air and ample daylight that enters to make the entire look mesmerizing. Moreover, if the ceremony is to happen during the evening then the hall is embedded with suitable lightings that will look marvellous. Cavendish Banqueting Hall is lavish and beautiful. It has the purpose of being one of the extravagant Asian Wedding Venues London. The place is sure to be filled up with many cheerful faces so that it looks outstanding. The place surely inspires you to go gaga over here and let you be in the most fantastic moods. We know that this is the perfect place for any theme. It can be Sangeet, Mehandi, Haldi or wedding. It just serves its purpose to have massive crowds that are on their toes to the fullest with thrill. We take up the responsibility to make your function look grand and beautiful at the same time. We do all that is your wish to make this grand occasion of your memorable not just to you but to one and all. Just come and spend time with us.